You know how you end up eating so much chocolate at Christmas that it makes you feel sick? Well, this year has been no exception. And if you want to see my stuff (a bit of it is in Jason's video at 10 minutes, 20 seconds in) then you can watch my full entry here - the sound quality is a bit shocking though. Wonder if I should have asked Santa for a new microphone. 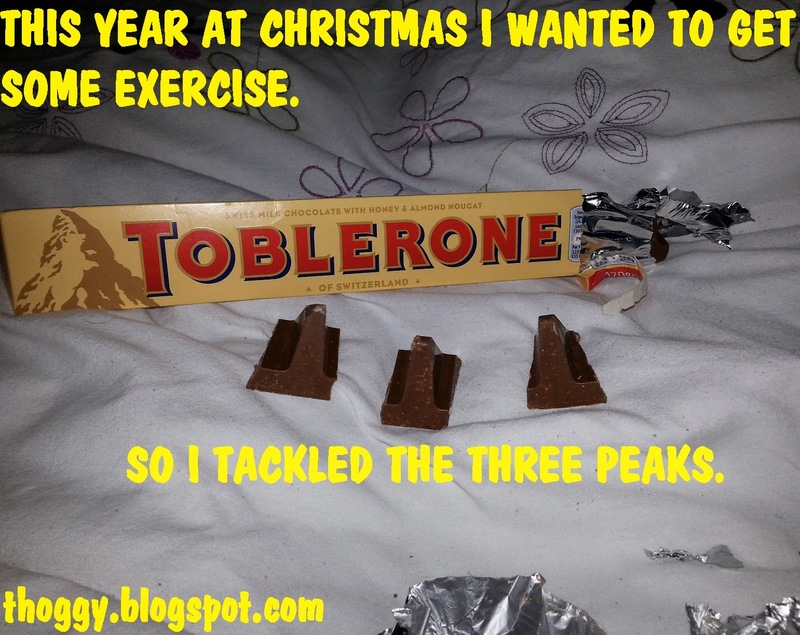 Oh, how I love Toblerone.I believe I planted a flag on one of those peaks. Your videos are entertaining. Sorry I missed the fortune telling of 2 years ago. It was probably golden! Toblerone used to be great until they added those extra valleys!